Isn’t it remarkable to come across a man who was paralysed from neck down started to walk again and became a first Asian Mayor of Royal Borough of Kingston? His second chance at life drives him daily to serve the community. We all know about people who changed our world and inspired us to become better people. In 2013, we started a series ‘Inspiring people in Recovery’, people who inspire us, encourage us to look over and beyond the limitations of our illnesses and become active members of society. Through these people we become continually aware that we are not alone in our pain and suffering and there’s hope one can defeat any illness in the world and achieve anything in life. I hope reading about Mr Shiraz Mirza will give hope to many people who are struggling with their Eating Disorders, Mental illnesses and have fallen into state of melancholy and hopelessness. Influence can be likened to a liquid that flows into and out of all of us. The character of what flows into us directly affects our internal state and affects what flows out of us, inevitably impacting what gets into others around us. Ever since my recovery from long term paralysis, I have dedicated my life to my community. For the past 16 years I have had the pleasure and honour of meeting different people from different walks of life, this in many ways has enhanced my knowledge of the citizens of this wonderful borough. Rich in life, culture and religion I believe Kingston has a vibrancy that is welcoming to all. As we all know, life is like two sides of a coin, Truth and falsehood. Only a few people have the grace to tap into their inner being to connect with the divine purpose of correcting the deposits of falsehood with which the Devil has co-founded the earth despite the knowledge that he was also created. There are people who mount up with wings, tirelessly soaring into the heights. With eagle’s sight they identify and aim at their prey –here beneficiaries are the ones who pull up smiles from the wells of success, mentorship and support, not on their own but, from the wells of those who stand to fill in the gaps between the rich and the poor every day of their lives, who will listen without being persuaded, forced or angered. These kinds of kind-hearted individuals are the ones that were referred to as the beautiful ones were not yet born many decades and perhaps, centuries when kingdom revolt and war were the order of the day. Our generation, our humanity, our world in mixed backgrounds, color, tongue, type and religions. is blessed with people of this type and kind. When we search for people of this kind, we don’t find them easily because of their few numbers littering this chaotic world where there is never going to be a balance but a wide difference between the rich and the poor. Great people like these are only found in the records of their deeds and in the testimonies of those that benefited from their kindheartedness, those who sing their praises and mince no word but portray exactitude in mentioning them, their names. Well, simple. There is someone, a personality of good gestures, care, and public interest, one who’s got an eye of a lynx and a tiger’s paw to help people with great concern and compassion. He has raised many through goodwill chain pouring into his new charity scheme. 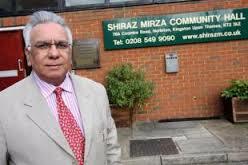 His name is Shiraz Mirza. 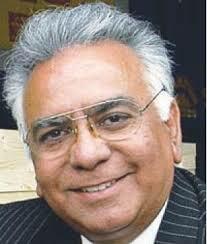 he was Kingston-upon-Thames Royal Borough’s first Asian Mayor. He has touched many lives and has transformed many to a level of “status upgraded”. A man who has lived selflessly and has put the interest of everyone that has come how as first, school uniform purchasing and other day-to-day essentials people may struggle to fund; always ready to spend on people below the poverty line. He fulfilled a testament, the testament of his ‘Second Chance”. As a young man he came to UK to study and then became a resident of this country. Lots of people come here with great experiences, I think every person’s experience is unique. There were lots of challenges, coming here leaving my parents behind, starting a new life, which every individual kind of faces. However, I was fortunate my older brother was here, So I had a base and my challenges were not that level of challenges. After completing his studies, he worked for 19 years for Atomic Defense Industry till he was struck down by a mysterious illness that changed his life and the lives of those around him forever. In a Tv Interview Shiraz said, I went to Pakistan for holidays in 1993. On 3rd January 1994 I was due to fly back to UK. Two days before my flight, I went to sleep there were no ill effects, I was healthy, when I woke up in the morning at 7:30 am both my legs were paralyzed. My uncle was a doctor, he came and took me to hospital, they couldn’t find anything. Two days later I was transferred to another hospital, Sheikh Zayed Hospital in Lahore, but by that time my whole body neck down was paralyzed, my only movement was my neck movement. I spent two weeks in hospital. Here in hospital I met a Professor Dr Zafar Iqbal, who told me what I suffered from was a rare disorder that attacked my nervous system and robbed me of the slightest movement. British Politician Tony Benn also suffered from this rare disorder. He told me there was no medicine treatment available, some people recovered with time, some didn’t and some died. In this state of paralysis Shiraz flew back to Kingston, where he spent 6 months in Kingston hospital. It was here at Social Services outlet that Shiraz’s life changed forever. Shiraz said it was year 1997 when I came across a man who was a mayor, I was interested and wanted to know what mayor is, what he does and how one can become a mayor? I was told to contact my local councilor who introduced me to local political activists in Kingston and gave me a form to fill in. She interviewed me and included me in the party, fortunately I was in the right place at a right time. Later a vacancy became available in South Kingston and I was invited to contest in elections for Liberal Democrats. I changed my mind nine times, before my wife gave me the ultimatum to make the final decision. I had no knowledge of community or of politics. It was a new road to me. I made up my mind and stood in elections. “Without the partnership of a woman, a man can never do a successful job”. In 1998 I was fortunate enough to be given the opportunity by the Liberal Democrats to stand for council. With the help of the community I proudly joined the Liberal Democrats and was honorably able to represent the Chessington South Ward. 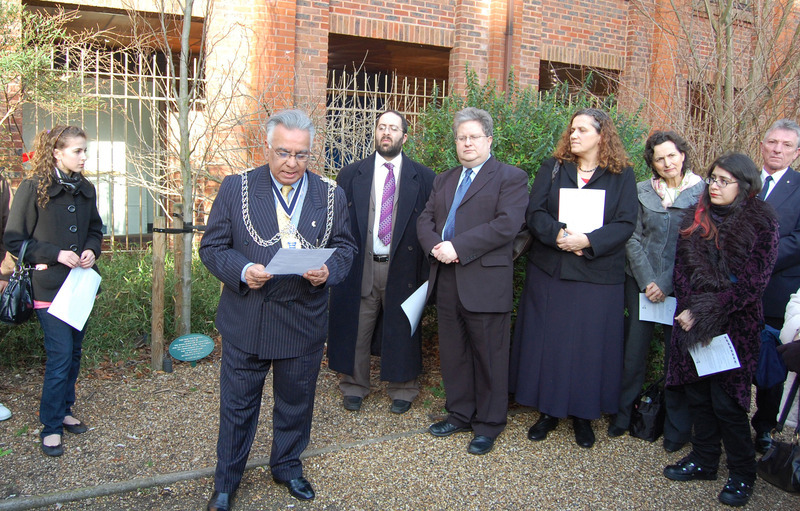 In 2001, I became a first Asian Mayor of Royal Borough of Kingston. You know what makes us happy about this man? He never disappoints anyone; he remembers that he had gone through many obstacles from his paralysis to his healing where he later became a mayor. He sees his current position as the Assistant Police and Crime Commissioner for Surrey responsible for Equality and Diversity and in the borough and with as one of a blessing and has utilized it to the blessing of the people. I also read about his words “It’s all to do with the community. He said he’s been given a second chance to complete what he has started, his assignment. He looks to identify young people who have been failed by family, the school system, and other traditional support structures. Those who were abused by their guardians, rehab those who engage substance use, just a few to mention. He sees every human being as unique. “We always have a lot of laughter and that always creates lots of positive atmosphere. But one of the main roles of a mayor in any power is to encourage the charity side, voluntary giving in the borough and he’s master of that and has created his own charities devotes lots of his time and fundings to voluntary activities in the borough, so he’s a lovely man. 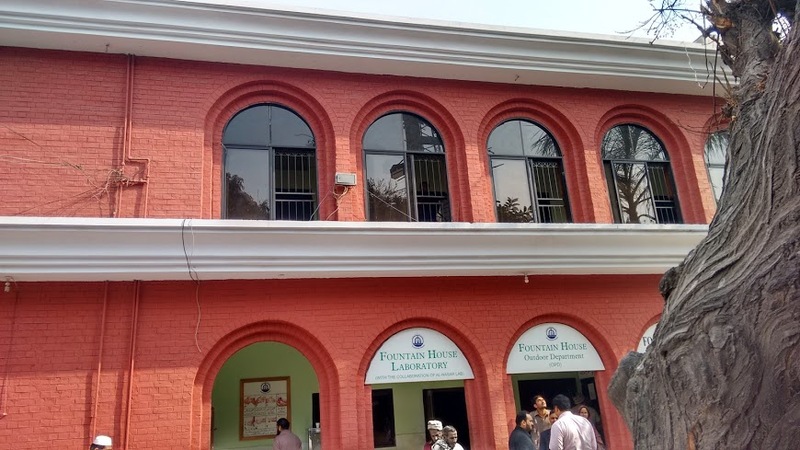 He said although funding cuts at both local and national level had proven difficult over the years, he hoped the charitable cause would be able to provide some “damage limitation”. To build a world free of hyper blood pressure, lives that will have access to better standard of living, amenities, infrastructures, leisure and accomplishments, all that will be geared towards building egalitarian societies all over the globe. 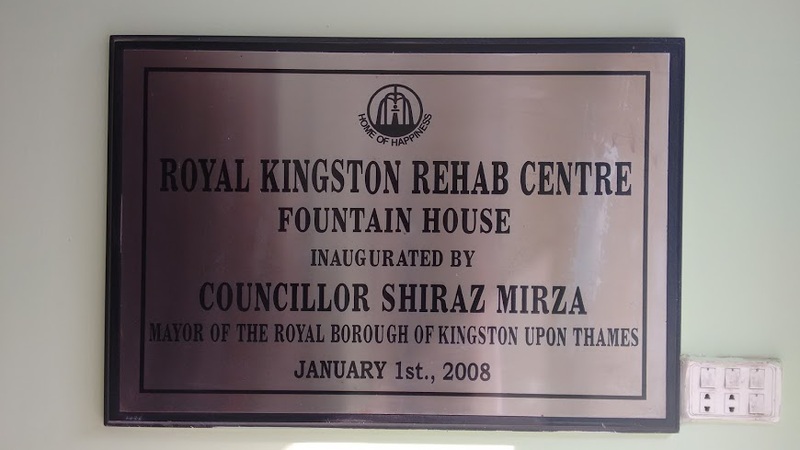 He raised the funds in 2006 to help the victims of 2005 Pakistan Earth Quake and to build a Royal Kingston Rehabilitation Center (R.K.R.C) in Lahore Pakistan.This was done through O’ Groats bike ride in July 2006and Shiraz was an active participant on this bike ride. Inshallah, many who are yet to learn about him, know him or even meet him will have the grace to do that. Such a person will not be pinned down in sickness, ailment and pestilence and will forever be a force to be reckoned with. We pray for an ultimate greatness for him this year. 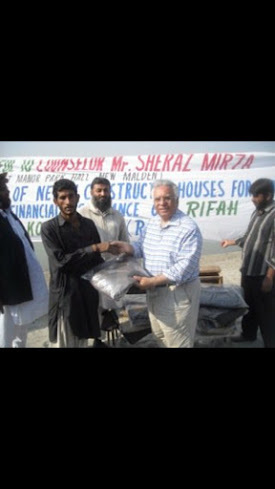 Shiraz Mirza is an icon of humanity of truth and a gem to us! What’s important for people right now is supporting the change and active participation in community. It doesn’t matter what party you support, what work you do, do it with heart and do it with honesty and Inshallah Allah will bless it and will take it to next level of success. To Watch The Interview Please click on links below. I found just what I was needed, and it was enengtainitr!